“We had a special event for family, friends and former colleagues of our late daughter Ruth to view the new Ruth Gorse Academy named after her in central Leeds. A wonderful school reflecting the work and aspirations of a wonderful teacher. 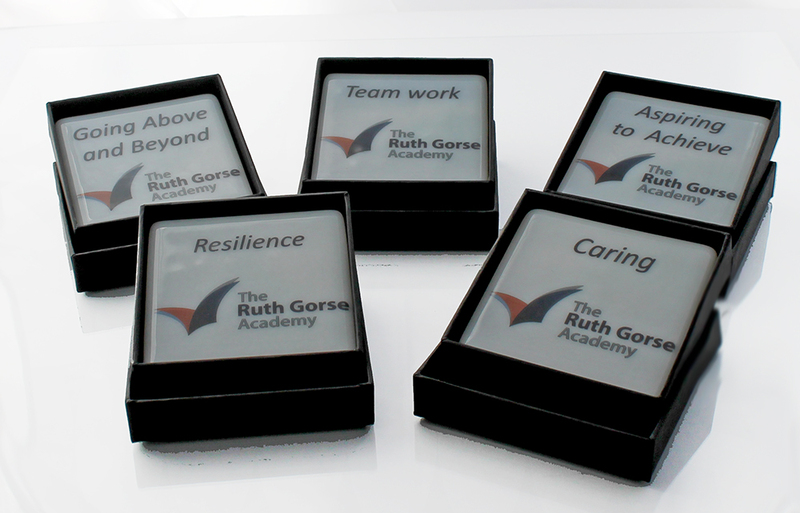 We wanted to mark the opening of the school by presenting some awards reflecting the five values the school was seeking to develop in the students. 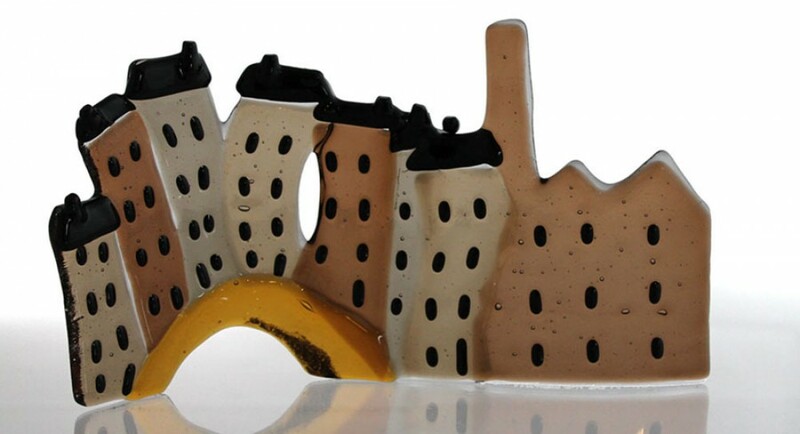 Ruth was a great lover of glass, making and collecting it during her life. We looked for someone in Yorkshire who we felt could develop something different using glass, that would be inspirational and identified with the school. Although we have never met Jane we saw her innovative and creative work on line and approached her. 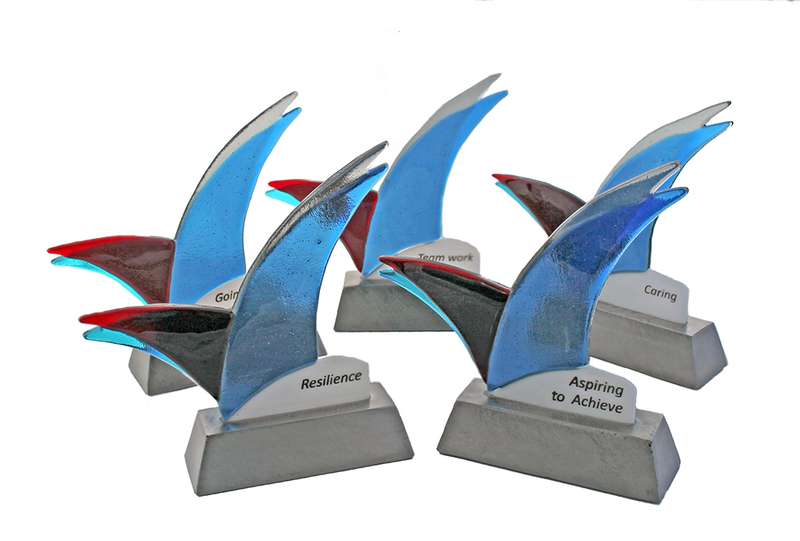 Having asked her for ideas she developed individual awards based on the school logo set on a base. 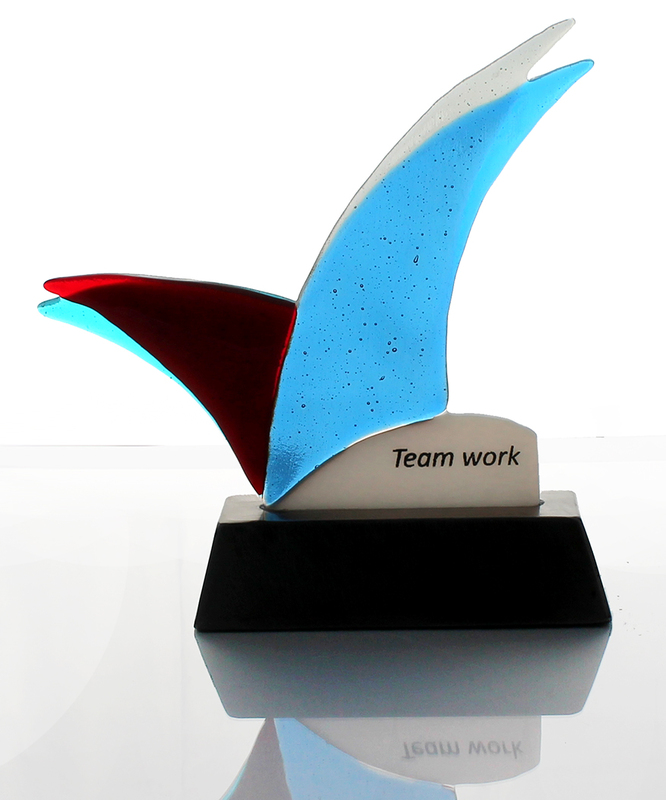 The five awards included the individual value in the design. To say they are stunning is to undervalue them. All the guests were highly impressed with their originality and workmanship. The Head teacher said the students would be thrilled to be chosen to receive the award. We also wanted to give each winner something they could take home to keep and for families to know of their success. 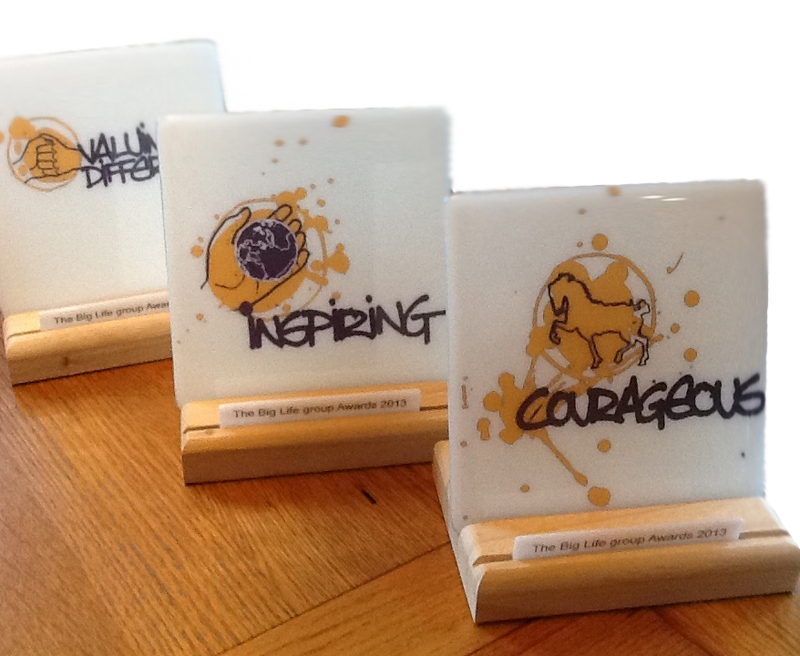 Jane came up with the idea of individual coasters for each award and we have had enough made to supply winners for the next ten years.